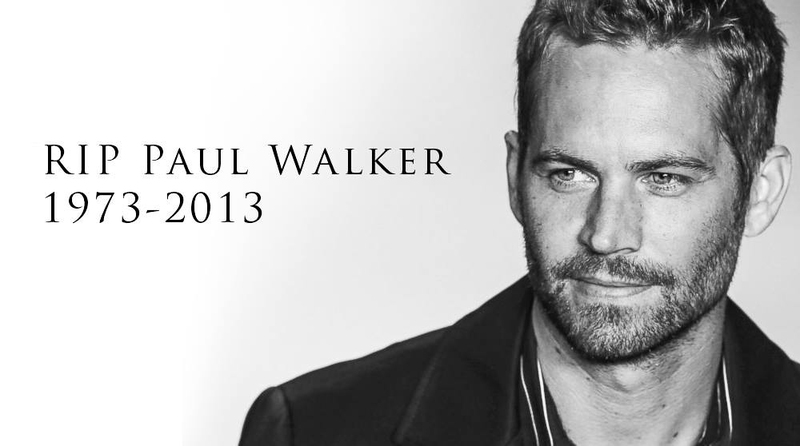 Not forgotten… Remembering Paul Walker. 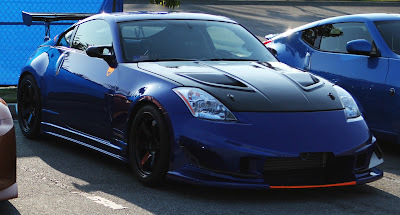 Since buying another Z33 I have naturally started browsing the Z forums a bit more. Though I do not post particularly often, I have noticed a bit of a trend. There are more than a few comments, and even entire threads, dedicated to a resentment and offense to the reality that the Z is depreciating in value. There is an overwhelming impression of, well, disgust that I do not quite comprehend. It seems to be something borne from entitlement - an entitlement that is lost on me. I find myself scratching my head browsing the forum when people see a modification choice of which they do not approve and remark with something to the effect of, "This is what makes me want to sell my Z." I understand that the overriding tone of statements like the one above is one of extreme hyperbole; that these owners likely do not actually want to sell their Z's because of the modification by another of which they do not approve. 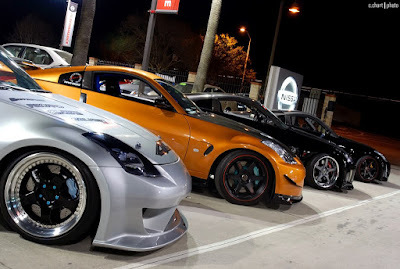 The reality, however, is that the 350Z is anywhere from 7 to 13 years old. Yes, teenagers and "burger flippers" are buying them nowadays. Because they can. The 350Z is no longer an expensive, relatively speaking, sports car. Depending on mileage, they can be had for less than the price of an R35 exhaust system. 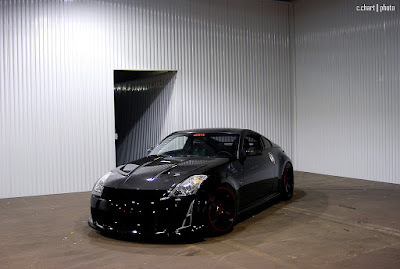 With all the Plasti-Dipping, replica-buying, corner-cutting modifying that is seen on a daily basis on the Z forums, it could be rather easy to denounce not only the taste of the members, but the decreasing value of the vehicle itself ad nauseum. But that is not what should motivate an owner to ditch his car. There have always and will always be people who have poor taste or modify with cheap, shoddy parts. 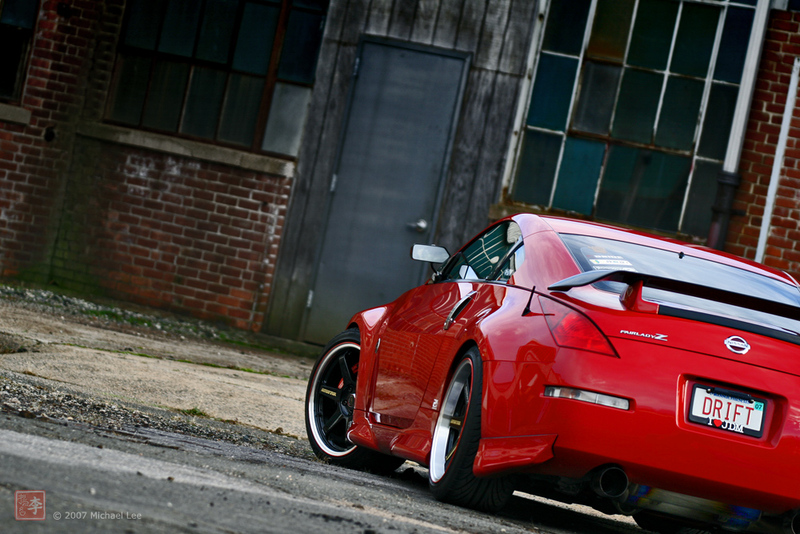 I am on my second Z. I sold my first Z33 before the value dropped to where they were attainable to teenagers. I do not reference teenagers as a negative, as there is little more impressive to me than seeing a 17 or 18 year-old kid who works hard to save up his money so he can afford a set of real Volk Racing or Work wheels or an authentic aero component. To me, that illustrates a real passion and sense of pride in his project. However, it is a sad reality that those enthusiasts are few and far between. I can only use my own personal experience, frame of reference, and perspective to form an opinion on this discouraging trend. Of course there are those true Z enthusiasts who are still passionate, spirited, and fanatical about their project Z's, but, sadly, they are in the minority these days. I believe, to many, the Z is a place-keeper until they can move on up to something "better." There is nothing wrong with that, either, but I believe there are many Z owners missing something inherently special in owning a Z. It is different for every person. To me, the Z33 is the car that brought about my love for the tuning scene; it sparked my obsession with the Japanese Domestic Market. For that, the Z has always been a special car to me. Many of the readers of JDMphasis may know that I purchased a 2003 Touring about ten years ago. I did quite a bit of work to it, but ended up selling it hastily. I then went on to other projects, but always missed the Z. Last year, when I found my daily driver Volvo S60 approaching that cliff of endless repairs, I decided to sell it as well as my project RX-7 for a new daily - my current FJC. It was not very long before I missed having that tuning project. At that time I decided to track down another Z33. A few months later, I found my current Z in Pennsylvania, had it shipped up to me, and my project began. My car is not a shiny new GT-R. It is not the new and fashionable flavor of the month. It is not even an older, coveted NSX or Toyota Supra. It is a ten year-old Nissan with nearly 100,000 miles that needs some work. But it is mine. It is a car that has some meaning to me. It is still a sharp-looking sports car with a lot of aftermarket support and endless potential. The Nissan Z is a car steeped in heritage. The Z33 is a car I fell in love with when I was a teenager that, 20 years later, I sought out as my current project. There will always be "ricers." No matter the vehicle, there will always be questionable choices in modification, but who cares? Your car is yours. Build it for you. Yes, it is true that there are fewer and fewer quality Z builds these days, but that should be a motivator; not a demoralizer. Remember why you bought it - because you love it. I know we are a little late to the party on this one, but we LOVE this new wheel from Volk Racing. Clean, classic, versatile, and just plain beautiful. 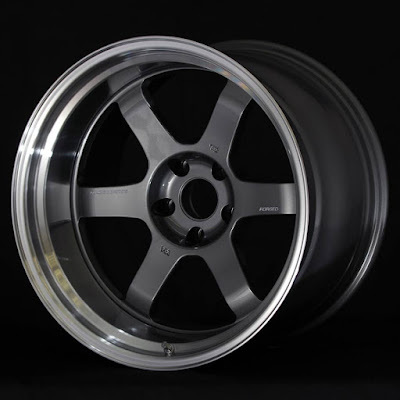 Like the many other variations of the timeless TE37, this new wheel is a forged monoblock design, but it is now made to accommodate the ever-increasing various widebody applications - 5 different depths and 2 faces. As previously posted on JDMphasis, the TE37V is very likely my favorite wheel design of all time, so, needless to say, I cannot wait to see the way this wheel dominates the scene. We are an established automotive aftermarket company, hiring for the position of Marketing Coordinator. With over a decade in the industry, we are one of the largest in our field, due in large part to our young but energetic team. We are looking for a motivated professional with a passion for the automotive industry to join our team and help contribute to our continued success. Marketing Coordinator for a company that specializes primarily in the production and sale of replica parts; parts that are copies of parts from legitimate manufacturers. Marketing Coordinator that reports to the Marketing Manager. My questions: What kind of marketing is needed here? How many marketing positions does a replica company need? You have already ripped off the design of another company. You have taken zero risk and put nothing on the line. You are selling a knock-off a tried-and-true part. You need someone to coordinate in marketing these parts? The original company has already done all the work. The original companies have done all the marketing necessary. You know the parts are in-demand or you would not have copied them in the first place. It is a sad state of affairs when one can log onto forums nowadays and there are "enthusiasts" who legitimately do not know that certain parts are replicas. They do not know the original innovators. They do not know that the parts they covet are actually stolen designs. Buy authentic. Support originality and innovation. Support the true talent of the industry.